IPL is a very popular skin correction treatment that helps those who have imperfect skin due to over exposure to the sun. Intense Pulsed Light [IPL] treats and corrects a wide range of facial concerns safely and effectively, such as broken capillaries, freckles, age spots and uneven skin texture. IPL Rejuvenation is only suitable for clients with fair skin. A thick layer of protective gel is applied to the face and the IPL light machine is applied to areas of the face to be treated. 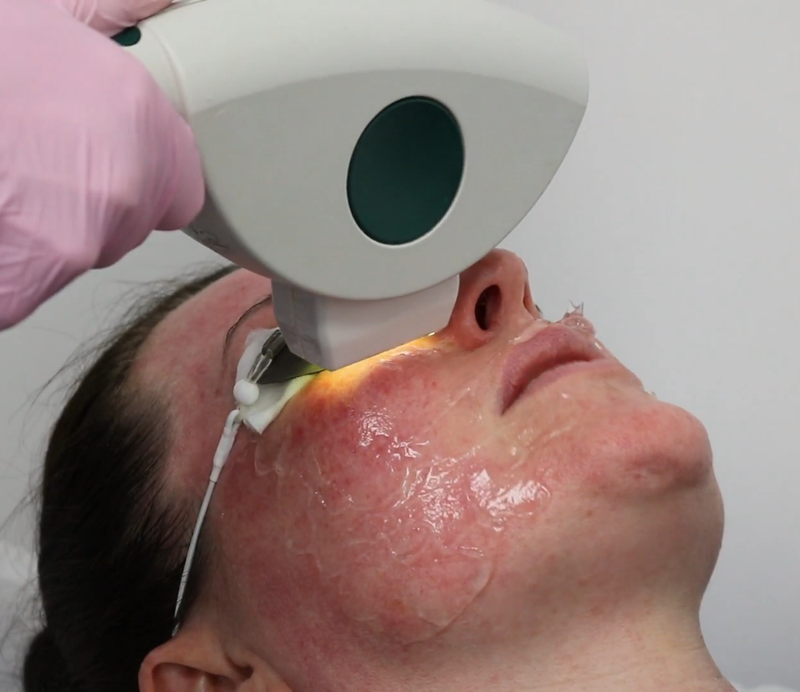 During IPL treatment, the IPL’s intense light is absorbed by the unwanted pigment, causing the pigment to shatter and sealing small blood vessels. The treatment can be especially good for conditions such as pigmentation and rosacea. 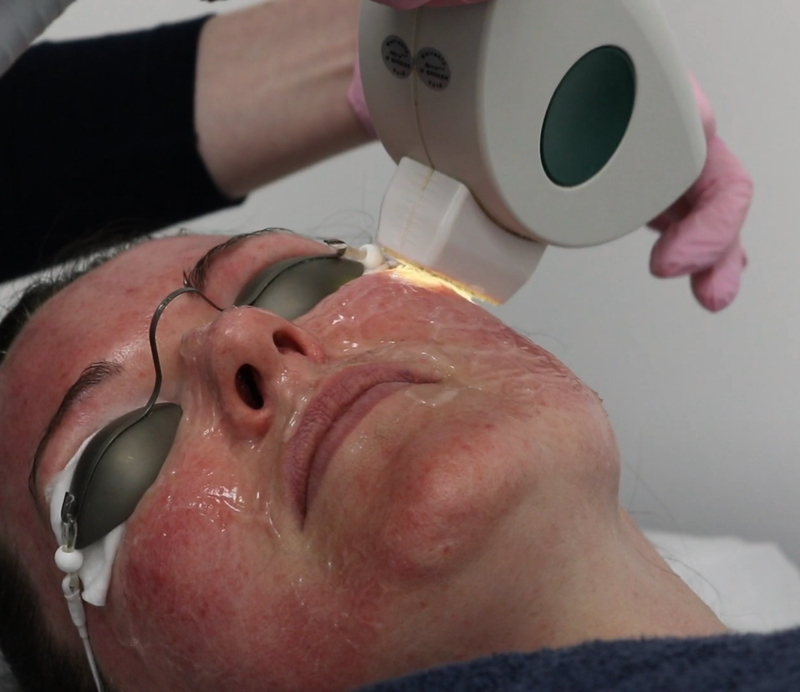 IPL Rejuvenation can treat anywhere where the sun has caused damage and abnormal pigmentation e.g. the face, chest, neck and hands. You will see improvements from the first treatment but we recommend a course of 3-6 treatments every 4 weeks for maximum results. You’ll be given goggles to protect your eyes during the IPL treatment as the light used is extremely bright. When the light is pulsed onto your skin you will experience a sensation like a rubber band flicking against your skin. The discomfit will fade quickly after the treatment is finished. We recommend a course of 3-4 treatments depending on the severity of your condition. Your clinician will be able to advise you of the best course for you. There will be some redness on the skin for around 1 – 2 hours after the treatment. You will need to avoid sun exposure and be sure to use SPF during the course of your treatment as the skin will be more sensitive to UV and UVA.